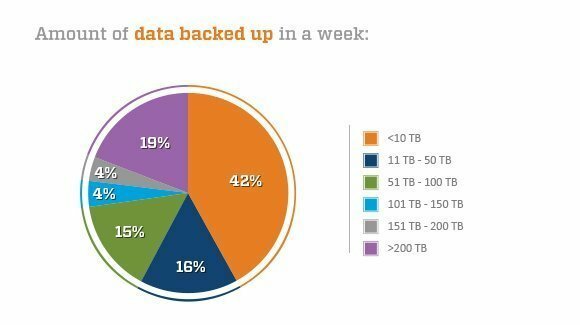 Is your backup data becoming unwieldy? In this video, W. Curtis Preston makes the case for flat data backups and their power to ease and quicken the restoration process. There is still a place for both RAID and erasure coding in today's computing environments. Explore each technology's use cases, drawbacks and best practices. A comprehensive data protection plan must feature more than backup. Archiving, snapshots and replication are just a few of the technologies that organizations should consider. The eCDM product, announced at EMC World 2016, helps cut back on redundant data. It may also mean EMC breaks into the relatively new copy data management market. Get the most out of your data center's cloud storage plan through the use of backup applications, object storage and a multi-cloud architecture. Instant VM recovery seeks to narrow the time it takes to recover data. This Tech Talk video with expert Brien Posey provides guidelines for getting the most out of the process. Why is a tape backup system still so popular? Many facilities are reintroducing tape. George Crump discusses why a tape backup system can be an effective platform for your organization. Jon Toigo discusses why tape is important for data protection and how archiving can dramatically improve backup processes in his recent Storage Decisions presentation. Jon Toigo discussed tape technology developments, including Linear Tape File System, in his recent Storage Decisions presentation. George Crump of Storage Switzerland discusses the limitations of snapshot, replication and other technologies for data protection. George Crump of Storage Switzerland discusses this year's hottest backup and data protection trends. Greg Schulz says you should keep four versions of data, including three copies in two different locations, one of which is off-site. Greg Schulz of StorageIO discusses how file sync and share products can be combined to build an effective data protection tool. Terri McClure of Enterprise Strategy Group explains why IT admins shouldn't consider file sync and share an effective method for backing up data.